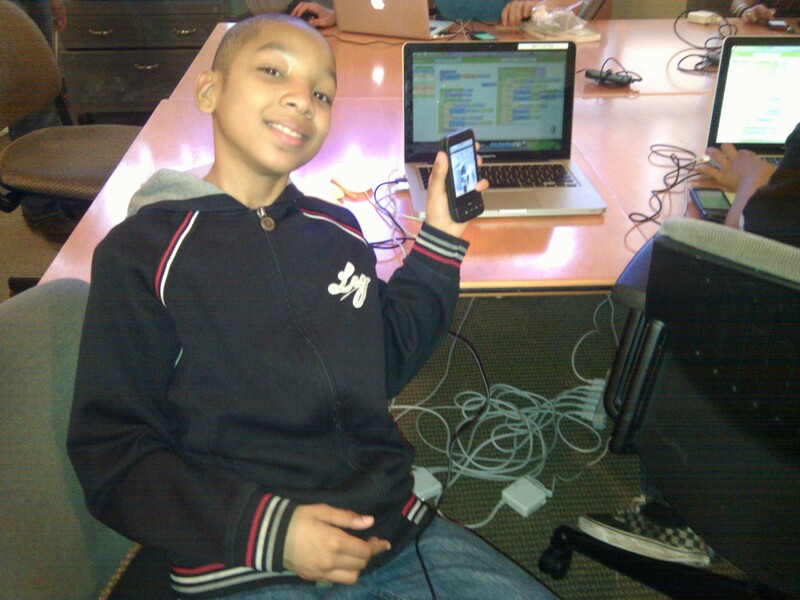 Angelo Taylor is a University of San Francisco student who took my App Inventor course last year. He has created this video about our App Inventor course. Great work Angelo! 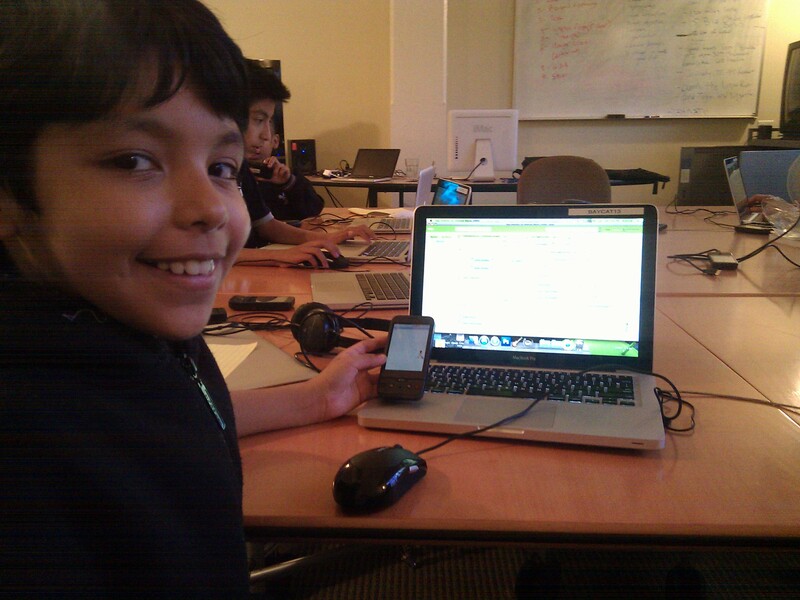 App Inventor was used in the summer program BAYCAT–The Bay View- Hunters Point Center for Arts and Technology in San Francisco. 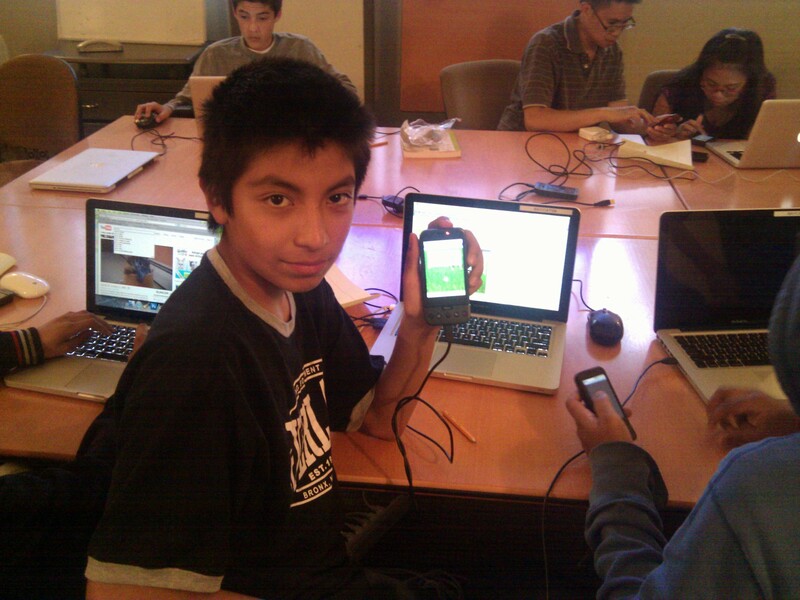 In just a few weeks, these students learned the basics of app building and created a game. One is a fashion app where you can drag clothes into a virtual closet. Another lets you grab for dollars before the police officer snatches you. Another lets you skateboard while boulders fall from the sky, while two others are fun soccer games. The students learned some complex programming, with if-else blocks, timer events, and the like, and they also had to work with Photoshop and other tools to build their user interfaces. Impressive work! Congrats to the students and to their wonderful volunteer instructor, USF grad student Roderick Lisam. I just gave an App Inventor workshop at the CS4HS seminar at the University of Illinois in Chicago– 30 high school teachers from the Chicago area were hosted by UIC professor Dale Reed and sponsored by Google. One thing I learned is that the kids of Chicago are in good hands, at least the ones lucky enough to learn from these teachers. The other thing I learned is that App Inventor is striking a chord with high school teachers. Many have been teaching Java, at least for Advance Placement (AP) courses and they know how few students thrive with that as a beginning language. They see how visual blocks languages like App Inventor and Scratch can work for a much larger subset of the population. They also see the potential for App Inventor to leverage the students’ intense fascination with the tiny computing devices they carry around in their pockets. WHERE CAN I GET SOME PHONES? How can I teach App Inventor if only a few of my students have Android devices? One answer is that you can develop apps without a phone, using the Android emulator that comes with the free App Inventor software. If you can scrape together a few phones for your class, or leverage those that your students bring, the emulator-based solution is workable and one I encourage teachers to take. But there is a much better solution, one with much broader implications, but one which would require some great vision by the folks at Google and perhaps a T-Mobile. 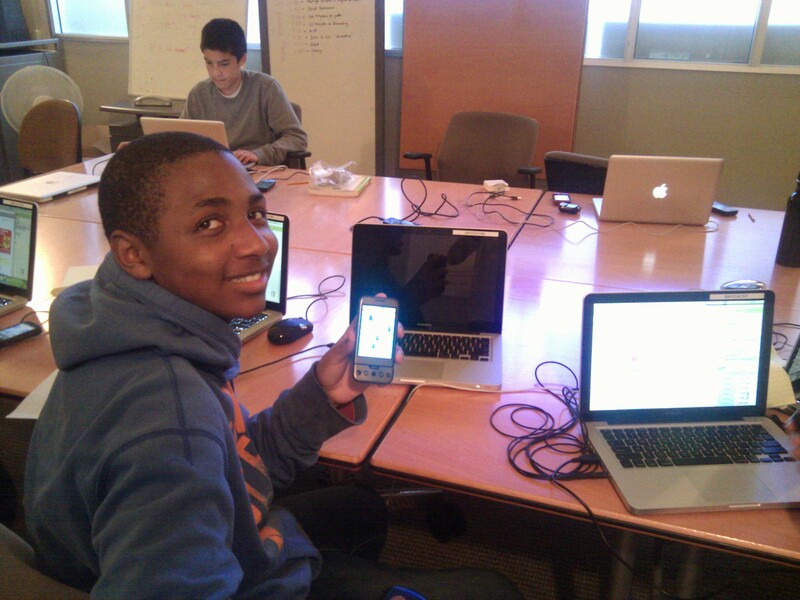 The solution involves giving every student who signs up for a high school Computing 1 course a device –phone or tablet. Let them live with it and program it as part of their life. The number of citizens with the ability to create technology would explode explode! The students will learn what software is, they’ll learn problem-solving and logic, and they’ll learn entrepreneurship– how to formulate ideas and create things of use to society. We’re not talking incremental change, but historical– and at a time when everyone from the Labor Bureau to the White House has identified a need for more programming-savvy citizens. Why Google? Couldn’t it be some other deep-pocketed organization? Yes, but right at this moment in history Google has a motive that can make it work. This scheme can win them the multi-billion dollar battle between Android and the iPhone. 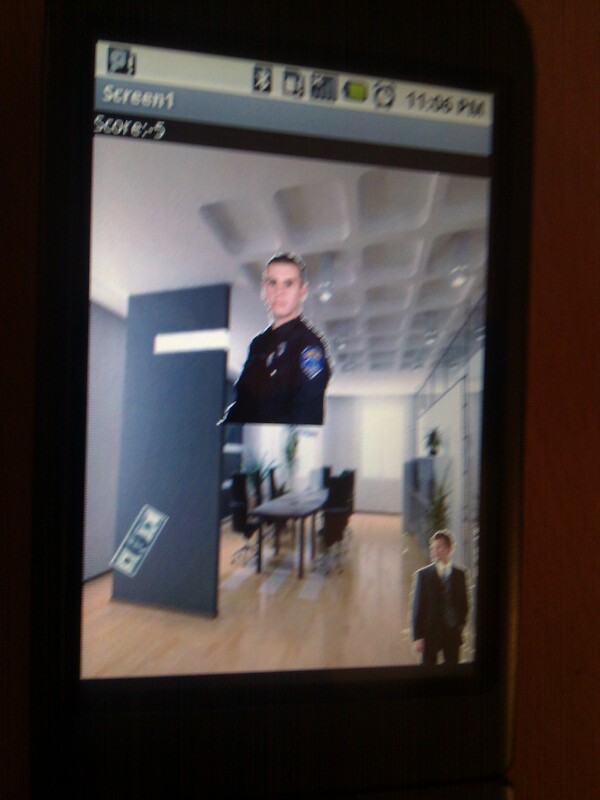 App Inventor only works for Android and there’s not yet an iPhone equivalent that is even close. This will change, soon, but App Inventor has the momentum, and so does Android in terms of casual “end-user” programming of mobile devices. Partner with a service-provider like T-Mobile, give the high school students a free device and a semester or two of free service, and suddenly you’ve got thousands of young new clients buying Android devices and service for the next 80 years. I’ve updated the App Inventor teacher map with a number of folks who contacted me and I did a bit of categorizing. Though the map is far from complete, we have courses from middle school, high school, high school summer and after-school programs, university cs courses, and a Health Sciences course. Here’s a quick run-down, see the map for more details on each course/teacher. Lashell Hatley, Youth Lab, Washington D.C.
Jeremy Scott, George Heriot’s School, Edinburgh, Scotland. Youth Radio is an Oakland, CA organization which promotes young people’s intellectual, creative, and professional growth through education and access to media. They’ve won a MacArthur Digital Media and Learning Award and now they’re adding mobile apps to their game and and using App Inventor to make it happen. No women in computer science? Not so fast! 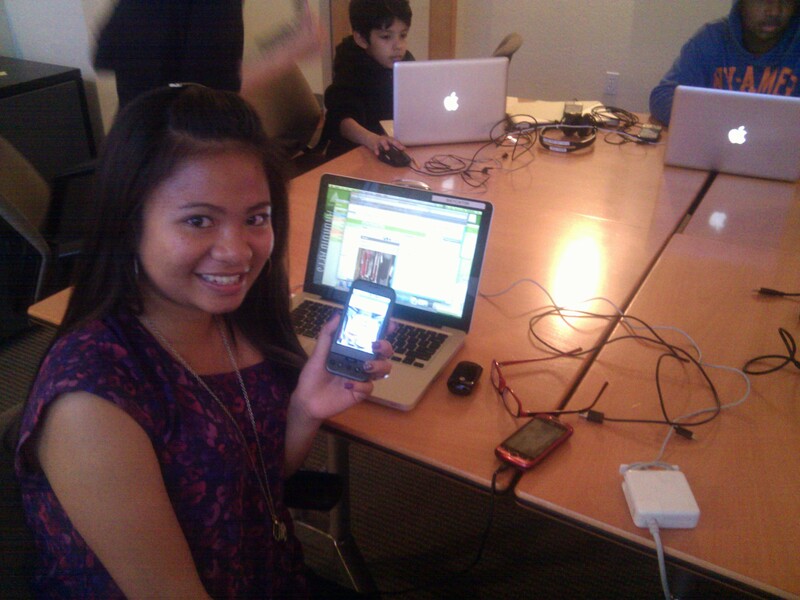 The University of San Francisco’s App Inventor class is helping to encourage more women into the field. These four students, recent A-listers in the USF course, are now helping high school girls learn programming and entrepreneurship in Iridescent’s Technovation Challenge. 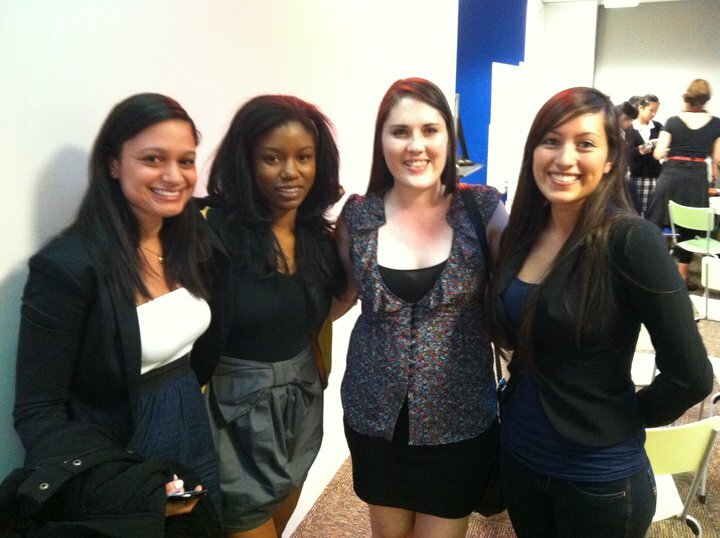 Jenny Horowitz, Paige Carrington, Julie Cahill, and Melanie Garcia– Way to go!